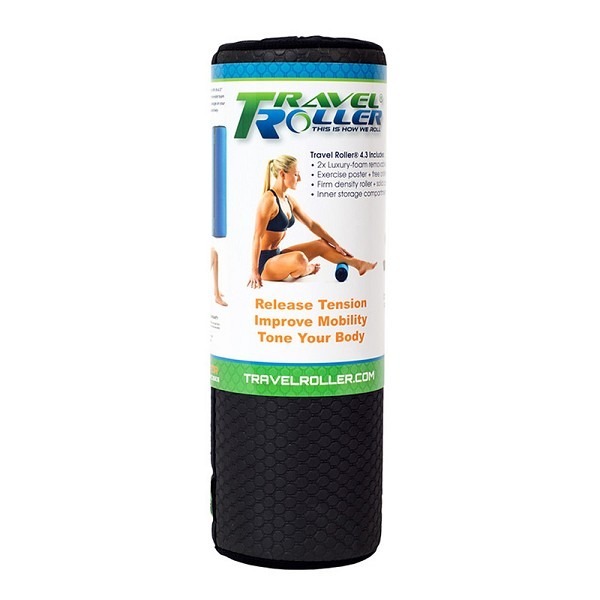 The Travel Roller® is an extra-firm dual-density portable sized foam roller. The compact and ergonomically correct size allows the user to self-massage through the entire body. The hollow centre storage compartment can be used to store personal items or to store the 3 varying density acupressure balls. The Travel Roller’s extra firm design does not deform and carries a 1-year warranty. The cutting edge earth-conscious Travel Roller design has washable and replaceable foam coverings that are PVC and rubber free!